Cranston Office has Moved to Warwick! Our Cranston Office has relocated to Warwick! We are now seeing patients at the Warwick location. Read our blog to learn more. The bright lights of playing 11 seasons in the NBA with the Nets, Bulls and Celtics never bothered Brian Scalabrine. Neither did his stint as an assistant coach with the Warriors, where television cameras and media surrounded him on a daily basis. But when Brian, 38, made the switch to the other side of the camera, becoming a broadcaster in the Boston media market, he began to think about how people viewed him. It was only then that the man known for his flowing red locks of hair, noticed hair loss was starting to be an issue. Through his work in the media, Brian immediately knew who to call: Leonard Hair Transplant Associates. 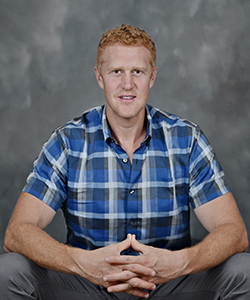 Brian Scalabrine is a guy who likes to do his homework, whether it is breaking down an opponent on the basketball court, preparing for a Boston Celtics game broadcast, or making a decision in his personal life. That’s why he took the time to decide if seeking a hair restoration procedure would be right for him. “I did the research. I got on my computer and looked everything up, and really became well informed before I made the first call,” Scalabrine said. Once he knew hair loss treatment was an avenue he wanted to pursue, he called our hair loss doctor, Robert Leonard, and our hair restoration surgeon, Matthew Lopresti. “I was extremely impressed with how much knowledge Brian had during our initial meeting. It was clear he had done his research,” Dr. Leonard said. Two weeks following his initial consultation, Brian underwent a Follicular Unit Excision (FUE) hair transplant at Leonard Hair Transplant Associates’ Newton, Massachusetts office. In this procedure, Drs. Lopresti and Leonard transplant individual hair follicles from the donor area to the area in need. “They confer with each other and definitely work well together,” Scalabrine said. He stated the procedure was pain free, and he was able to watch two Iron Man movies while the doctors worked on his scalp. “What’s better than that? !” he exclaimed. Dr. Matthew Lopresti explained to Brian that approximately two to three weeks after his procedure, the individual hairs in the transplanted grafts will grow and then fall out. Around twelve to sixteen weeks, the new permanent hairs will grow at the average rate of hair growth, which is about 1/4 to 1/2 inch per month. “Brian should see the final results of his Follicular Unit Excision procedure towards the end of 2017.” stated Dr. Lopresti. Brian is accustomed to having viewers focus on his hair. His glowing red/orange mane, which took on a variety of lengths and styles over the years, became a calling card for Scalabrine during his playing days. “People definitely noticed my hair. I will say that,” he said. 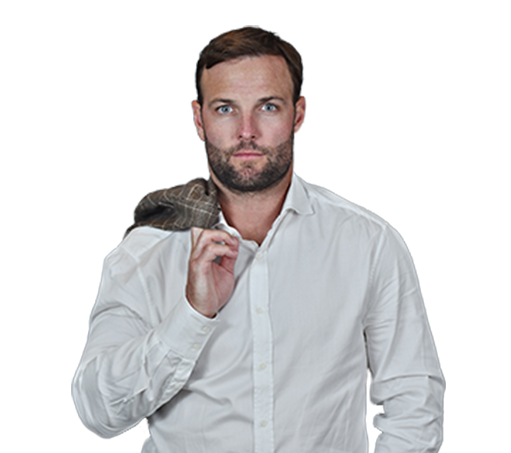 If you or someone you know is faced with hair loss issues like Brian, contact Drs. Leonard and Lopresti to schedule a free, confidential consultation. Call Leonard Hair Transplant Associates at 1-800-543-0660. Could Dandruff and Dry Skin Accelerate Hair Loss? Our Cranston Office has moved to Warwick! We are seeing patients at our new Warwick location.